One story, three platforms. A modest page from my friend, Alan Levine-of-50 Ways to Tell a Story-fame’s book: put through their paces powerful, elegant, free visual-storytelling platforms, in my case Cowbird, Exposure and Medium, platforms that seem, on the surface, pretty similar. My questions: Do I really need all three? Does one stand out? How can I advise overwhelmed nonprofit storytellers as they make their way through a maze of storytelling choices on the Web? To prep for a digital storytelling workshop for Vermont nonprofits (one in a series of twelve storytelling workshops sponsored by the enlightened Vermont Community Foundation and Ben & Jerry’s Foundation), I brought a single story through the three platforms one after the other to see how they served my story. 1. What I say again and again and again in every workshop I teach: you have to know why you are telling the story and to whom (and why they should listen) before you take a single step into making story. 2. It’s crucial for digital storytelling mentors to explore and experiment with and push their own storytelling. Tell stories. Daniel Weinshenker of Center for Digital Storytelling has been urging the digital storytelling network to do so and recently posted a new digital story of his own to walk the walk. And he’s absolutely right. If you do not actively practice what you teach, you shouldn’t teach it. There, I said it. 3. Pulling a single story through the three platforms reinforces the intricate relationship between the story’s urge and how you tell it. How you thought you’d tell it and how you actually end up telling it are not always the same. Listen to the story; follow its lead. My story changed, and I had to change bits of the story, and let my understanding of the story change as I moved from platform to platform. 4. All three of these platforms are a delight to use. While they each carry their own personality (something I like), they are all spare and elegant and easy to use! Anyone can make a story on any of them with little difficulty. 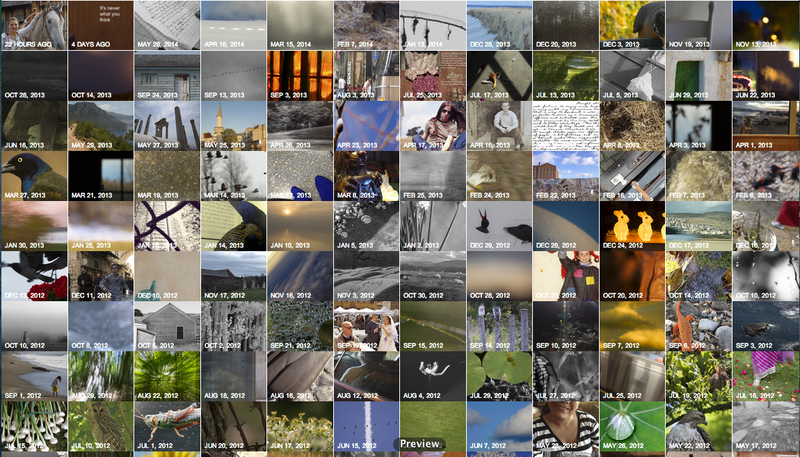 A community-based platform where you tell your story in photo, text and/or audio with a horizontal slide to turn the “pages.” I have by far the most experience here, having created 159 stories since February 2012, experimenting over the years with the various features of the platform and getting involved in the Cowbird community. Pros: I love Cowbird’s simple, friendly, lean approach; that it is truly aimed at everyone/anyone telling their stories, learning from one another, trying to tell those stories as well as we can with image, text and/or audio. Easy peasy. It works equally well, I think, for the photographer who focuses on the visual story, the audio storyteller, and the writer, not quite as well for the experimental digital storyteller (though they seem to overcome any hurdle.) You can embed stories (almost) anywhere you like (not on WordPress). Cons: That said, it has limitations. 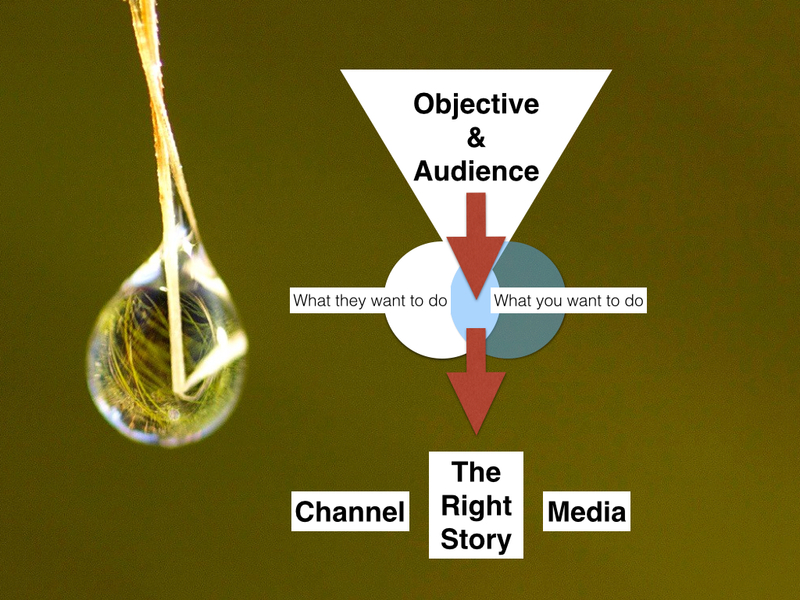 There’s only one way to tell your story: with the horizontal slide. The audio track is not tied to the image track, and so unless you do a bunch of fancy pre-editing work outside the platform ahead of time, you cannot advance the slides with the audio as you might like. Nor do you have control over the size of your font page to page–it is tied to the number of words on the page, not your preferences. It’s about simplicity and approachability, not artistic control of certain features of the story. Notes: Horizontal images work much much better on Cowbird, and it’s better, too, to crop them wide and short so the viewer doesn’t have to move all around the screen to get the full image. I had to adjust my photos to compensate for these quirks, which wasn’t a bad thing, and really I should go back and keep adjusting. There’s a nice drama to moving the slider to get the next bit of text and then the next and then an image and then–it adds tension and suspense and a moment of breathing missing on the other two. I’ve only made a couple of Exposure stories thus far, but I do love the straight-up, scrolling approach to visual story. Created for photographers, the platform keeps distractions to a minimum, concentrating on gorgeous visual storytelling. Nonprofits such as Charity Water are using Exposure directly, powerfully in stories such as What Will You Do With It. Pros: Drag and drop ease; simple to use; gorgeous scrolling look; you can set up your own domain; incredibly responsive staff. If you are a visual storyteller, this is your baby. Notes: Your writing needs to be sharp and easily segmented between images, and it must make sense to have your text sandwiched this way. Short stories work better, I have a feeling, and not all stories will work here. But that’s as it should be. I had to toss some images I had used in Cowbird and Medium, and think long and hard about the bits of text to use from the original story version. I love the title slide. So beautiful. I also like how the storyteller’s profile appears at the end of the story. Wow. So much you can do with this scrolling platform. Created to help digital writers tell their stories and connect to other storytellers, it puts the writing first, the images second, or so they say. I say get out there and try this one–so much fun and quite stunning results. it causes image and text to do extraordinary things to one another. It makes you put every word on trial for its life. You can embed the story! I’m sure there’s lots more to love here, but I need to run a few more stories through before offering more. Cons: You can throw too much in here and end up with clutter (but that’s the responsibility of the teller, not the platform). Though I like the version of my story here, I intentionally used images in as many ways as I could just so I could show the choices and outcomes to my workshops. I think the small, inset photos do not work quite as well as the larger ones, but that’s probably just my story. And if you use too much text over image, it can get pretty slick pretty fast. I don’t much like the offering of another story to read at the end of the story–it takes away from the story as singular, and the beauty of breathing a bit between stories. Notes: It’s important to do a lot of experimenting here to find the balance between image and text and scrolling and revealing, insets and fancy dances. Listen to the story, be true to its voice–simplify simplify or you’ll end up with a jazzy, yes, but messy stew. What’s the upshot? Three fabulous options depending on what story you want to tell to whom and why. These are quick first thoughts. I will continue to use them, as well as the superstar Soundslides and a full slate of photo, video and audio editors, listening to each story and then choosing the platform that helps it say what it needs to say to whom I need it to speak. How lucky we are to have such riches from which to choose! You bring up an important point, Tasha, one that came up in my workshop yesterday, in fact. 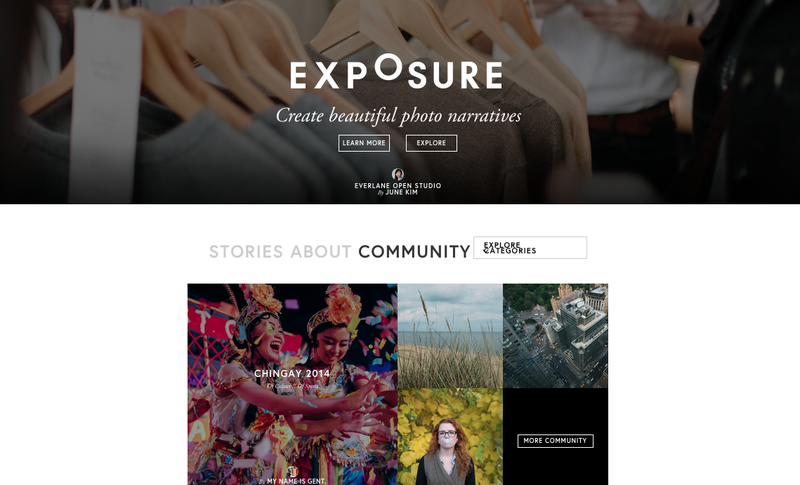 It’s troubling to nonprofits (well, to anyone, or it should be) and is why folks with some coding skills are rolling their own digital storytelling platforms or using WordPress themes to create a bit of the parallax look. I’m going to play around with setting up a new WordPress blog just for the stories I want to create that way and embedding them on my main site to see how that works. Cowbird and Exposure, class acts that they are, are also not interested in “owning” anything you make. Hi Barbara, I have read several of your articles about digital storytelling. I am very passionate about storytelling, but I could not find the right tool, so I and my team have just built an open contextual storytelling platform ourselves – http://www.storyana.com. We are challenging the way content is published today – mainly in the form of one-off articles with no continuity or context.